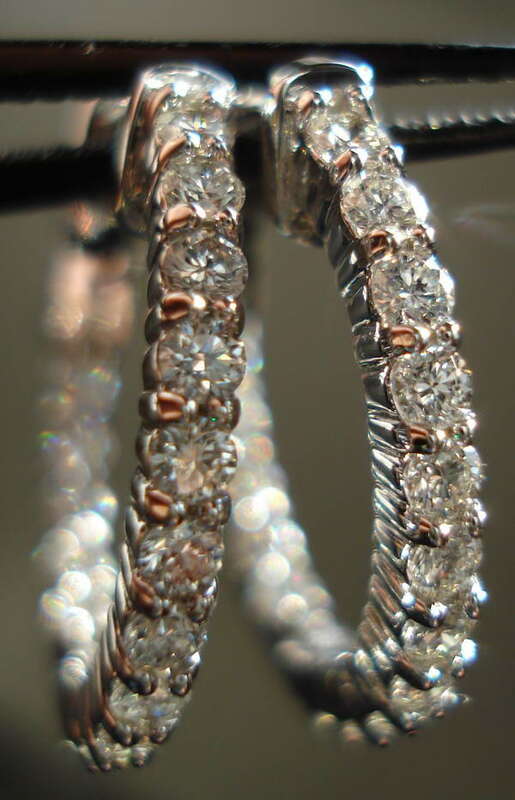 The great care we take when selecting our small round diamonds is evident in these photos. 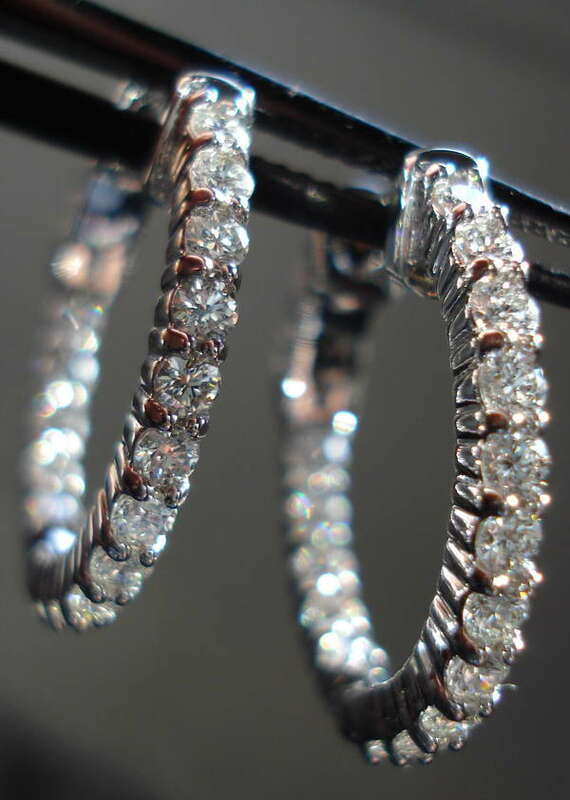 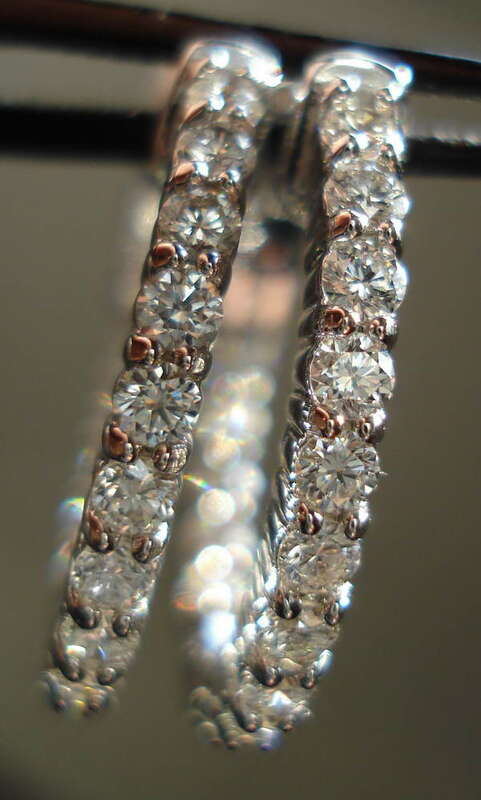 The stones, at .025ct each ( 40 per carat), are large enough so that we can see the lovely facet patters. 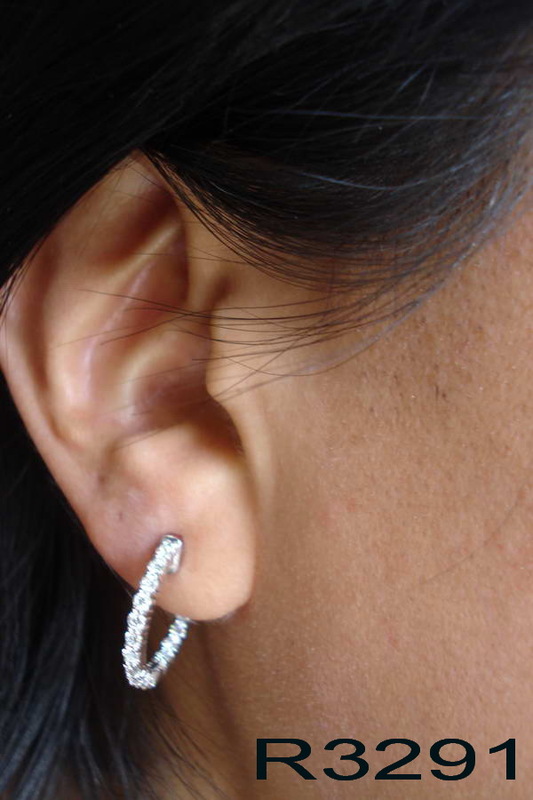 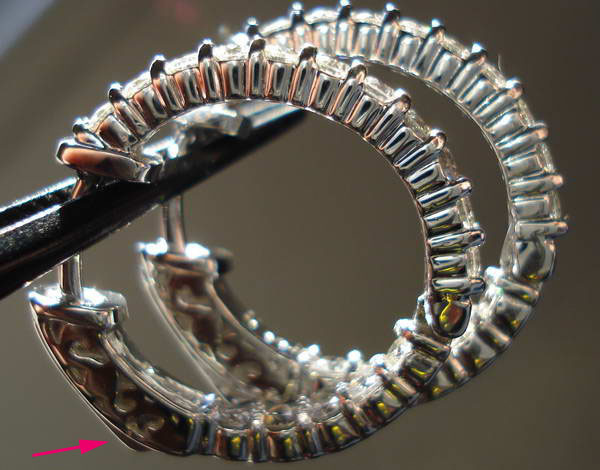 The safety clasp makes these very secure- you need to press the little button to open the earrings.